Every now and again it’s good to provide information that will bring awareness to real life problems. The family constellation is in trouble. Even when a family overcomes domestic violence, the effects of the events linger long after the watchful eyes of “little Johnny” can not see anymore. His memory of the incidents stays in the family and not easily forgotten, they affect him years later. These images are burned in his memory forever. This fact sheet will focus on and expose this often forgotten evil and offer helpful suggestions to counselors who deal with this type of abuse. When an incident occurs in the home, the focus always centers around the direct parties involved. When mom and dad fight, counseling is between mom and dad. Rarely do the witnesses’ feelings become an issue. 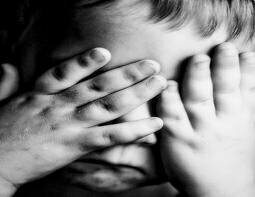 Children experience emotional overload during this time and even when the parents seem to have “ironed out” their differences and resumed life, the kids are emotionally “stuck” at the scene of the crime. A survey of 6,000 American families found that 50 percent of men who assault their wives, also abuse their children. (Pagelow, “The Forgotten Victims: Children of Domestic Violence,” 1989). In addition, research shows that 80 to 90 percent of children living in homes where there is domestic violence are aware of the violence. (Pagelow, “Effects of Domestic Violence on Children,” Mediation Quarterly, 1990). (3) Short and long-term therapy (i.e., gradual exposure, trauma processing, reduction of feelings of responsibility and self-blame).